McLaren has announced a range of new parts, including a performance exhaust system, for its entry-level Sports Series lineup. 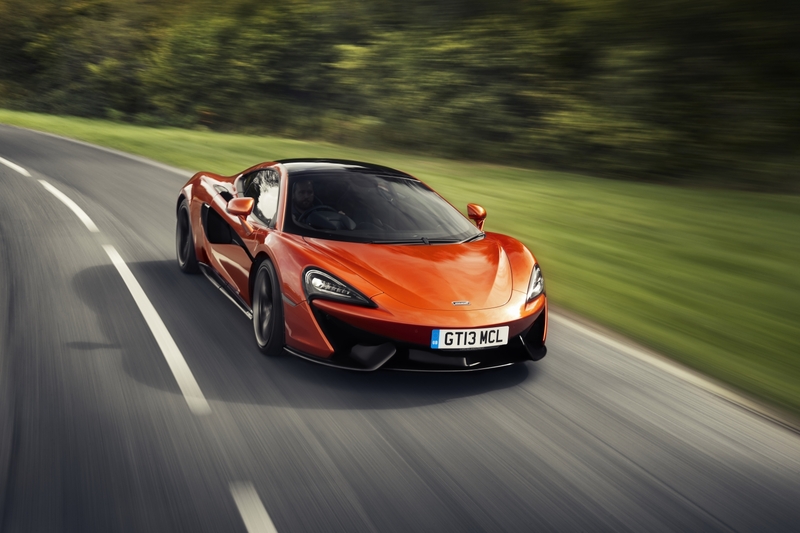 Available for the 570GT, 570S, and 570S Spider, these options will allow for more customization and slightly better performance for McLaren's most affordable supercars. 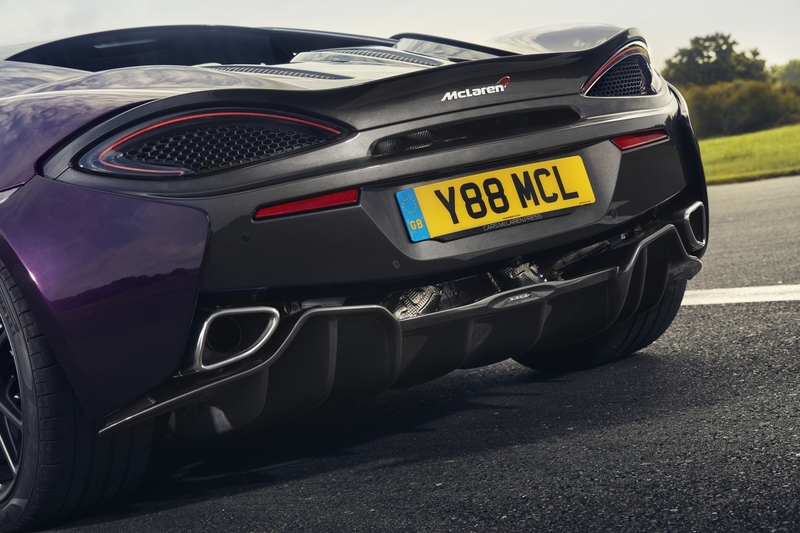 Developed by McLaren Special Operations, the MSO Defined Titanium SuperSports exhaust system delivers a louder and better exhaust note than the standard pipes. Made primarily from titanium, this exhaust also a provides a marginal weight reduction (11 pounds) for the car. The component costs $6,560 and can be fitted to any Sports Series product. Available only for the 570GT and 570S Coupe, the new MSO Black Pack ditches the Dark Palladium grey accents on the spoiler, diffuser, rear bumper, front splitter, aero blades, side skirts, door inserts, and air intakes for pure black. If this package is added alongside the new exhaust system, the owner can choose to have the exhaust tips painted black as well. 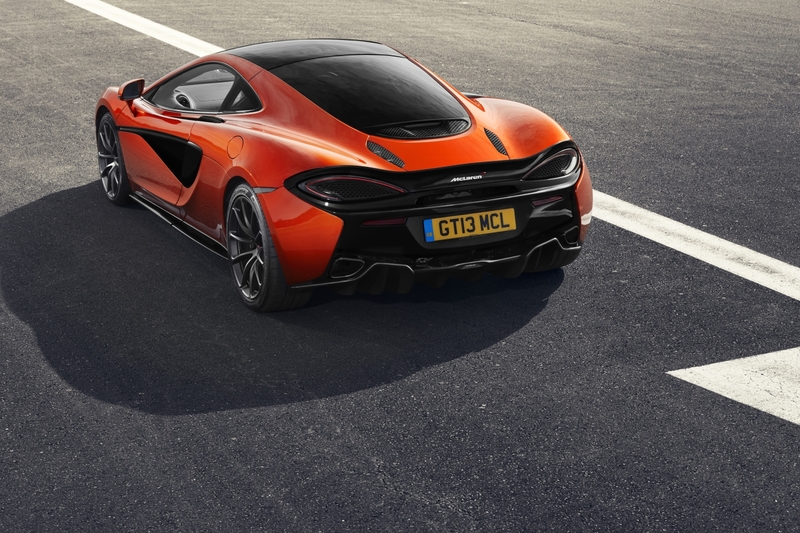 If the 570's carbon monocoque chassis isn't enough carbon fiber for you, McLaren is offering MSO Defined Extended Carbon Fibre Sill Covers for the entire Sports Series lineup. These carbon bits don't do much for performance, but damn do they look good. Owners can also change the color of the ignition button to black or McLaren orange for added customization. "With the 570S Spider now available and customer interest in our Sports Series continuing to grow, these new MSO Defined products provide even greater choice and opportunity for customers to create their own special McLaren," said Ansar Ali, Managing Director of MSO. The exhaust system is coming in mid-2018, but all other options can be fitted now via McLaren's configurator, which we've spent way too much time playing with. The Senna will cover the quarter mile in 9.9 seconds, zero-to-62 mph in 2.8 seconds, and zero to your driveway in: Never.